There’s no easier way to clear away loads of unwanted stuff from your home than hiring the services of a professional company. 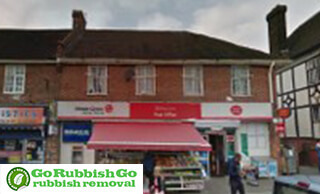 If you require the services of an efficient Bellingham SE6 house clearance firm, then hire Go Rubbish Go. We provide complete clearance solutions for Bellingham residents. The house clearance services provided by our firm in SM6 can help you remove all kinds of household items and waste materials from your home. We even clear out garages and other messed up areas at your premises. So, don’t miss this chance to make use of the excellent services provided by our firm. Call us today on 020 8610 9182 if your home looks all messed up. So, you’ve decided to hire house clearance services from our firm but you still need to know the prices that we offer. When it comes to any kind of service, the price is a crucial factor which decides whether people will opt to hire a firm or not. Hence we provide our services at affordable prices so that all people can afford to hire us without any hesitation. The overall expenses when you hire our Bellingham house clearance firm in SE6 won’t be as high as you expect them to be. Our service is always budget-friendly and it’ll stay the same. Call 020 8610 9182 to take advantage of our latest deals! Our services available all across Bellingham are all that you need for a clutter-free home. We remove all sorts of junk items from your property and it doesn’t matter if the quantity of items to be removed is large or small. Our staff members are friendly, highly skilled and work with full dedication in order to complete the house clearance Bellingham in no time. We even provide refunds if you aren’t satisfied with our services. 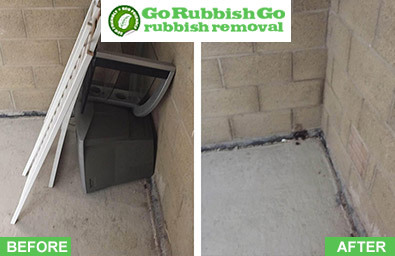 Thus you can trust our teams for removing all the unnecessary items from your property. The efforts taken by our team to provide high quality services has earned us the tag of the best house clearance Bellingham, SE6 firm. We hope to provide you the same quality service that our all our clients have enjoyed. Our house clearance crew in Bellingham will work with your estate agent or a neighbour if you’re not able to be present in your home during the clearance. We provide detailed quotes to our customers and do not charge any hidden extras. The useful items that are accidentally cleared out will be returned to you by our team. We carefully check each and every item removed before taking it to the dump. Our crew will deal with all sorts of waste found at your property. So, call 020 8610 9182 now to hire us for your SE6 house clearance Bellingham or place your orders online. 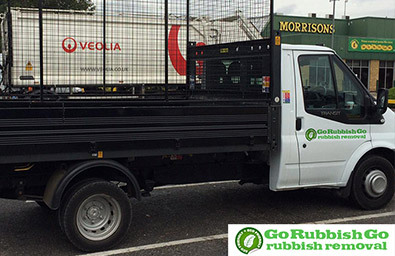 At Go Rubbish Go, we always follow eco-friendly methods to dispose of the collected items in an effective way. Our Bellingham house clearance SE6 company is fully licensed to handle and dispose waste materials. The reusable items will be sent to recycling sites so that each item can be reused in an effective manner. Recycling ensures that the overall pile of junk sent to a landfill is reduced to some extent. Our high fuel-economy vehicles can help reduce the emission of harmful gases. Thus you can trust our firm for eco-friendly house clearance SE6 services as we safeguard the environment by following a greener style of work. With our house clearance firm covering the SE6 area, you need not bother about anything. Just contact us on 020 8610 9182 and place your order today for a neat living space. We will offer you amazing deals and discounts if you hire our SE6 house clearance services in Bellingham. So, enjoy the best deals by hiring the best firm in town. Visit our website to find out all about our firm and chat with our experts. Call us right away to free your home of unwanted junk and all the useless clutter at affordable prices. Bellingham is located within the London Borough of Lewisham and is located in South East London. This area is bordered by Lewisham and Beckenham, and the Bellingham Estate is located north of Southend Lane. You can find a local supermarket, shops, hair dressers, a newsagent, a pub, a gym and a fish and chips shop in the area. Good transport facilities are available and you can travel with ease thanks to the regular services. You can travel to areas such as Kentish Town, Beckenham, Biggin Hill, Catford, Greenwich, Woolwich, etc using the rail and road transport. Some of the nearby areas include Honor Oak, Catford, Southend, Lewisham, Bromley, Forest Hill and Penge.